William “Charlie” Gustafson, 80, of Canton, Pa., passed away at his home on Sunday, September 2, 2018. 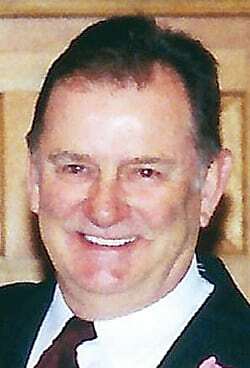 William Charles, “Charlie” to family and friends, was born Sept. 21, 1937, in Jersey Shore, Pa., a son of the late Henry and Sarah (Koch) Gustafson. He was a graduate of Jersey Shore High School and continued his education receiving an associate degree in drafting from the former Williamsport Area Community College. Charlie was a talented carpenter. He worked as a self-employed contractor and will be remembered for the many houses he built throughout Pennsylvania. In later years he operated a plant nursery and raised Christmas trees at his home in Elysburg before he and Elaine moved to Canton and built a home. On Jan. 26, 2002, he married the former Elaine Bovier in the East Canton United Methodist Church. Charlie was an avid hunter who enjoyed the outdoors. He was known for his strong will and work ethic, working as long as his health would permit him. Charlie was a member of the East Canton United Methodist Church and the Watsontown Masonic Lodge No. 401 F&AM. In addition to Elaine, his wife of 16 years, surviving are his children, Mark Gustafson, Cathy Powell, Michael (Kathryn) Gustafson, all of Williamsport; two stepchildren, Kirk (Kelly) Bedford, of Canton, and Kim (Lori Kocher) Bedford, of Mechanicsburg; six grandchildren; six great-grandchildren; five stepgrandchildren; four stepgreat-grandchildren; a sister, Myrtle Long, of Jersey Shore, several nieces, nephews, cousins and a good friend, Frank Young, of Shamokin. He was predeceased by a sister and two brothers-in-law, Anna Marie (John) Graham and John “Bud” Long. His family invites friends to call 11 to noon Saturday, Sept. 8, at the East Canton United Methodist Church. Rev. Michele Sommerville will officiate the memorial service at noon. Burial will follow in the East Canton Cemetery. In lieu of flowers, consider a donation in Charlie’s memory to the Animal Care Sanctuary, P.O. Box A, East Smithfield, PA 18817, or the American Cancer Society, 1948 E. Third St., Williamsport, PA 17701. The Pepper Funeral Home & Cremation Facility, 578 Springbrook Drive, Canton, is assisting his family with arrangements. Share condolences and memories at www.pepperfuneralhomes.com.